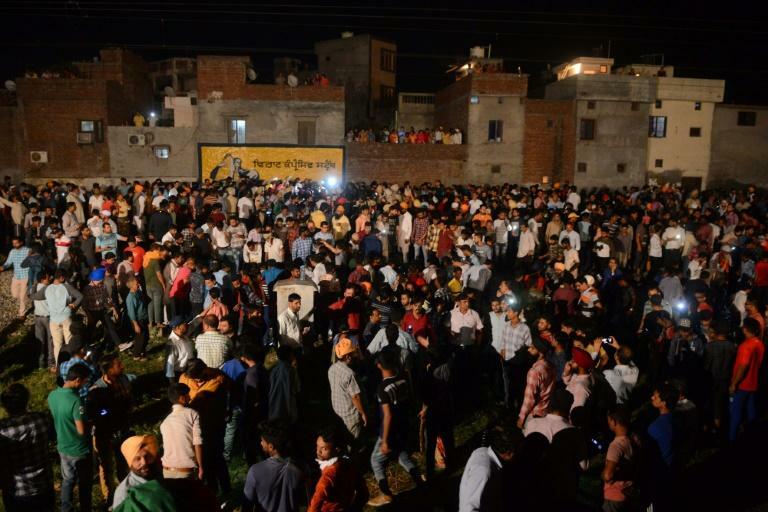 At least 50 people were killed Friday after a train plowed into revellers gathered to watch a Hindu festival in India's northern Amritsar city, police said. The train hit a crowd standing on the railway line to watch a fireworks show during Dussehra celebrations, police and eyewitnesses said. "There was a lot of noise as firecrackers were being let off and it appears they were unable to hear the approaching train," a police official at the scene told AFP. An eyewitness told a local TV channel there was "utter commotion" when the crowds noticed the train "coming very fast" towards them. "Everyone was running helter-skelter and suddenly another train crashed into the crowds of people," he said. "There are more than 50 casualties. The priority now is to take the injured to the hospital," Amritsar city police commissioner S. S. Srivastava told reporters. Nearly 15,000 people die on the country's railways every year, according to a 2012 government report. Punjab Chief Minister Amarinder Singh has ordered an inquiry into the latest disaster. "The tragedy is heart-wrenching," Indian Prime Minister Narendra Modi wrote on Twitter. "My deepest condolences to the families of those who lost their loved ones and I pray that the injured recover quickly."